Aarti is held four times a day at Baba’s Samadhi at 4.30 am at noon, sunset around 6.30 and at 10.30 p.m. A bell resounds throughout the village a few minutes before the noon and sunset aarti and at four o’clock in the morning. The bell is also ring in Dwarkamai and the ceremony is televise by an enlarged system throughout the village. To attend aarti it s best to go early and join those waiting in the queue where there will be a separate line from the regular darshan queue. It was in Dwarkamai that aarti was originally performed to Baba and devotees still gather here to eagerly join in the aarti worship. 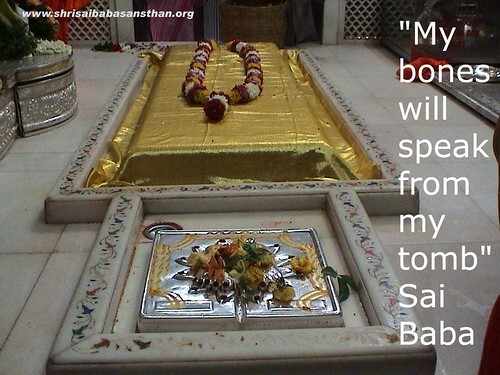 Sai Baba live darshan time is 4.00 Am to 11.15 Pm (IST). Shirdi Sai Baba Mahasamadhi Day is celebrated on 13th October in 2013.